Baggböle Manor was built by James Dickson & Co in 1846 as a residence for the manager of the Baggböle sawmill. It opened in 1847 and was designed by Assistant Vicar Johan Anders Linder. The manor was constructed in one and a half floors with a smooth, horizontal panel under a gable roof. The facades are designed according to the Empire style of the period, with the front supported by Doric columns. The smooth panel was painted with a light linseed oil paint. The curved lunette windows are additional antique motifs. Two detached wings, two gazebos, a skittle alley, a large hay-drying rack, and a woodshed were also built next to the manor. Further north towards the village were two workers’ homes, a barn, stables, and a schoolhouse. There was also a larger building to the east of the manor. Herbs and potatoes were planted between the manor and the workers’ homes. 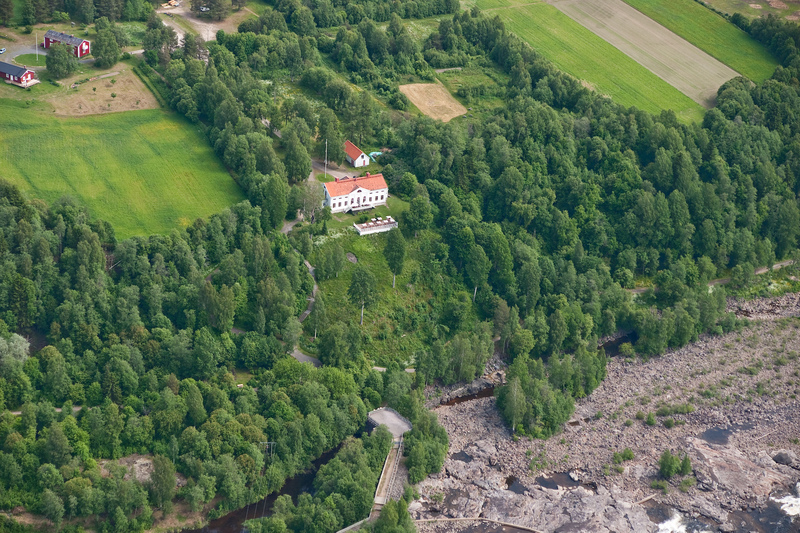 The manor was the residence of the director of the Baggböle power plant from the first half of the 20th century until 1958, when the Stornorrfors power plant was completed. 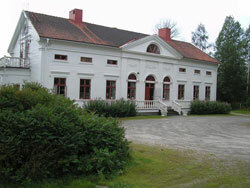 In 1968, SCA donated the main building, including 3.4 hectares of land, to Umeå Missionsförsamling. The County Administrative Board listed Baggböle Manor as a historic building in 1968. The area southeast of the manor by the river and about 600 metres in a 100–150 meter-wide zone comprises a key biotope, called Baggbölebrinken. 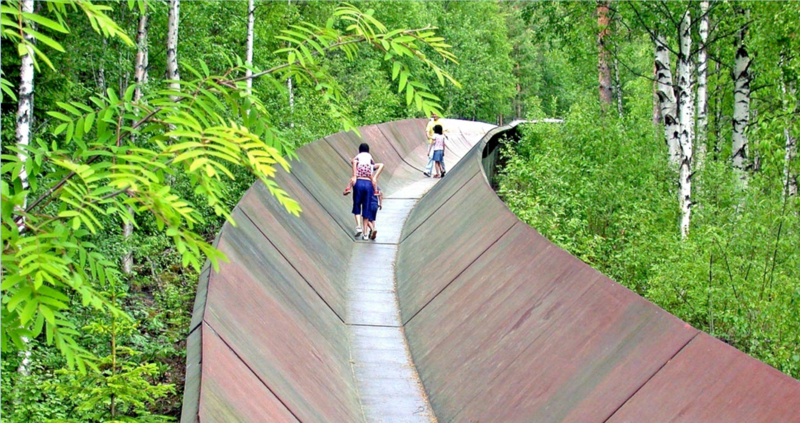 The Swedish Forest Agency is the responsible regulatory authority. North of the manor, towards the main road, is an important old growth pine forest called Gamtallskogen in Baggböle. The Swedish Forest Agency is the responsible regulatory authority.